AstraZeneca is a global biopharmaceutical business that pushes the boundaries of science to deliver life-changing medicines. AstraZeneca is an innovative-drive, global, biopharmaceutical company that heavily relies on new technology, and innovative science. At AstraZeneca candidates have a chance to think big to change the course of medicine, and be involved in a mission to improve healthcare. This assessment can take two forms, either you will be supplied with a topic before the first meeting at AstraZeneca, or you will be given a plethora of reading during the assessment center day to prepare. Anyhow, practicing before might help you get on top of the list, so if you are not a born speaker you can check the Assessment Centre Guide, for more useful tips on how to prepare a great talk. This will be a standard motivational and strengths-based interview. 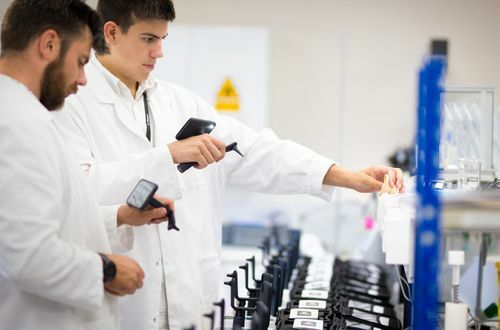 You are expected to give full answers with specific examples of your achievements, as well as show that you understand well what your role will be about, and what working at AstraZeneca means. Remember to show some enthusiasm and passion! This could be either, depending on the size of the assessment centre and the role that you are applying for. As for a group exercise, the general skills that the assessors are looking for is a good balance between teamwork and leadership skills. You might want everyone in the room to see your great leadership skills, but approach the group exercise rather as a test of your collaborative and teamwork abilities than a show of a directorship. Most likely you will have a brief to read and discuss possible solutions with a group and then present a conclusion to the assessors. It is important to stick to your guns if you are convinced about your answers.The individual exercise may be in the form of a case study where you will be required to read and analyse the information. For some roles, this might be an additional stage. The applicant will be asked to take part in case-studies that would reflect working environment and tasks assigned to the position they have chosen. These exercises will be aiming at validating their natural skills and competencies. Both Assessment Centres were designed with an objective to disclose more about the company and structure of work that candidates will experience.